In the Age of Grace, the demons were cast out from man with the laying on of hands and prayer, but the corrupt dispositions within man still remained. Man was healed of his sickness and forgiven his sins, but as for just how man was to be purged of the corrupt satanic dispositions within him, this work had yet to be done. Man was only saved and forgiven his sins for his faith, but the sinful nature of man was not extirpated and still remained within him. The sins of man were forgiven through the agency of the incarnate God, but this does not mean that man no longer has sin within him. The sins of man could be forgiven through the sin offering, but as for just how man can be made to sin no more, and how his sinful nature may be extirpated completely and transformed, he has no way of solving this problem. The sins of man were forgiven, and this is because of the work of God’s crucifixion, but man continued to live within the corrupt satanic disposition of old. This being so, man must be completely saved from his corrupt satanic disposition, so that his sinful nature may be completely extirpated, never to develop again, thus enabling the disposition of man to be transformed. This would require man to grasp the path of growth in life, to grasp the way of life, and to grasp the way to change his disposition. Furthermore, it would require man to act in accordance with this path, so that his disposition may gradually be changed and he may live under the shining of the light, so that all that he does may be in accord with the will of God, so that he may cast away his corrupt satanic disposition, and so that he may break free from Satan’s influence of darkness, thereby emerging fully from sin. Only then will man receive complete salvation. At the time that Jesus was doing His work, man’s knowledge of Him was still vague and unclear. Man always believed Him to be the son of David, and proclaimed Him to be a great prophet, the benevolent Lord who redeemed man’s sins. Some, on the strength of their faith, were healed just from touching the edge of His garment; the blind could see and even the dead could be restored to life. However, man was unable to discover the corrupt satanic disposition deeply rooted within himself, neither did he know how to cast it away. Man received much grace, such as the peace and happiness of the flesh, the faith of one member bringing blessing on an entire family, the healing of sickness, and so on. The rest were the good deeds of man and his godly appearance; if man could live on the basis of these, he was considered an acceptable believer. Only believers of this kind could enter heaven after death, which means that they were saved. But, in their lifetime, these people did not understand at all the way of life. All they did was to commit sins and then confess their sins in a constant cycle without making any path toward changing their disposition: Such was the condition of man in the Age of Grace. Has man received complete salvation? No! Therefore, after that stage of work was finished, there still remained the work of judgment and chastisement. This stage is to make man pure by means of the word and thereby give him a path to follow. This stage would not be fruitful or meaningful if it continued with the casting out of demons, for it would fail to extirpate man’s sinful nature, and man would come to a standstill at the forgiveness of his sins. Through the sin offering, man has been forgiven his sins, for the work of the crucifixion has already come to an end and God has prevailed over Satan. But the corrupt disposition of man still remaining within him, man can still sin and resist God, and God has not gained mankind. That is why in this stage of work God uses the word to expose the corrupt disposition of man, causing him to practice in accordance with the right path. This stage is more meaningful than the previous one, as well as more fruitful, for now it is the word that directly supplies man’s life and enables the disposition of man to be completely renewed; it is a much more thorough stage of work. 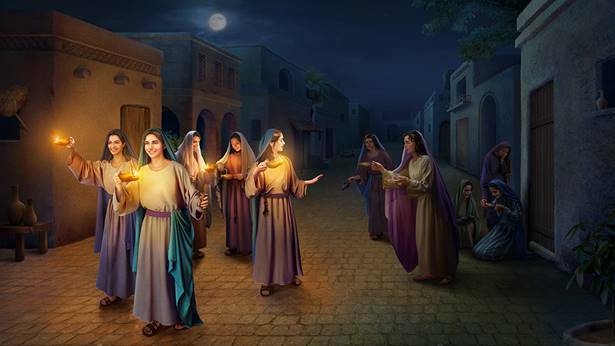 Therefore, the incarnation in the last days has completed the significance of God’s incarnation and completely finished God’s plan of management for man’s salvation. … Therefore, it is not through the healing of sickness and casting out of demons that man can be fully saved from his sins, nor can he be fully made complete by the manifestation of signs and wonders. The authority to heal sickness and cast out demons only gives man grace, but the flesh of man still belongs to Satan and the corrupt satanic disposition still remains within man. In other words, that which has not been made clean still belongs to sin and to filth. Only after he has been made clean through the agency of the word can he be gained by God and become a sanctified man. When the demons were cast out of man and he was redeemed, this meant only that he was wrested out of Satan’s hands and returned to God. However, without being made clean or changed by God, he remains a corrupt man. Within man still exist filth, opposition, and rebelliousness; man has only returned to God through His redemption, but he has not the slightest knowledge of God and still resists and rebels against Him. Before man was redeemed, many of Satan’s poisons had already been planted within him and, after thousands of years of being corrupted by Satan, he has within him an established nature that resists God. Therefore, when man has been redeemed, it is nothing more than a case of redemption in which man is bought at a high price, but the poisonous nature within him has not been eliminated. Man that is so defiled must undergo a change before becoming worthy to serve God. By means of this work of judgment and chastisement, man will fully come to know the filthy and corrupt substance within his own self, and he will be able to change completely and become clean. Only in this way can man become worthy to return before the throne of God. All the work done this day is so that man can be made clean and be changed; through judgment and chastisement by the word, as well as through refinement, man can purge away his corruption and be made pure. Rather than deeming this stage of work to be that of salvation, it would be more apt to say it is the work of purification. In truth, this stage is that of conquest as well as the second stage in the work of salvation. It is through judgment and chastisement by the word that man arrives at being gained by God; and it is through the use of the word to refine, judge, and disclose that all of the impurities, notions, motives, and individual aspirations within man’s heart are completely revealed. For all that man may have been redeemed and forgiven of his sins, it can only be considered as God not remembering the transgressions of man and not treating man in accordance with his transgressions. However, when man, who lives in a body of flesh, has not been set free from sin, he can only continue to sin, endlessly revealing his corrupt satanic disposition. This is the life that man leads, an endless cycle of sinning and being forgiven. The majority of men sin in the day only to confess in the evening. This way, even if the sin offering is forever effective for man, it will not be able to save man from sin. Only half the work of salvation has been completed, for man still has a corrupt disposition. … running deeper than sin, it is something planted by Satan and deeply rooted within man. It is not easy for man to become aware of his sins; he has no way of recognizing his own deeply rooted nature, and must rely on judgment by the word in order to achieve this result. Only thus can man gradually be changed from this point onward. Previous：When the Lord Jesus was crucified He said, “It is finished,” which shows that God’s salvation work for mankind was complete. So how can you say that God has done a further stage of work to judge, cleanse, and save mankind? Next：The Lord Jesus performed His redemption work in the Age of Grace and in the last days Almighty God does His work of judgment. How do we recognize that the judgment work of the last days and the redemption work of the Age of Grace are from one God? What the work of judgment brings about is man’s understanding of the true face of God and the truth about his own rebelliousness. The work of judgment allows man to gain much understanding of the will of God, of the purpose of God’s work, …These effects are all brought about by the work of judgment, for the substance of this work is actually the work of opening up the truth, the way, and the life of God to all those who have faith in Him. This work is the work of judgment done by God. In the past, in religious circles exegetical scholars said in relation to the final rapture, “The church will be taken up before the disaster,”...see that rapture before the disaster has not been verified, and then they change their view to say that the rapture would take place in the midst of the disaster. In fact, some are taken up before the disaster and some are taken up during the disaster, both are true. ...We have been taken up before the disaster. We accepted the gospel before the great disaster. Some of these people have been made complete: They are the overcomers, that is, the overcomers made before the disaster, and now they have borne testimony. Was the Lord Jesus Christ God’s Son or God Himself? ...“I am in the Father, and the Father in me,” “I and my Father are one.” Now, according to the Lord Jesus’ words, can we not confirm that the Lord Jesus is God Himself, there is only one God and there is no “Father-Son relationship” to speak of? ...the incarnate Christ is God Himself, all because He is the Spirit of God realized in His flesh. In other words, God puts on the flesh to become the Son of man to work and speak in the world. Isn’t this the appearance of God? Wise virgins can recognize the voice of the Lord, mainly because wise virgins are people that love the truth and seek the truth. They thirst for the appearance of God, that is why they are able to seek and investigate the coming of the Lord. They are able to distinguish the voice of the Lord. Since foolish virgins do not love the truth, they do not seek or investigate the coming of the Lord. All they can do is obstinately cling to the rules. ...This is also a manifestation of a foolish virgin.